All Grain Plus Extract Strong Bitter homebrew recipe. 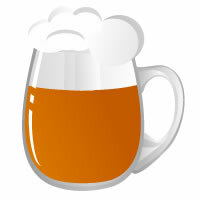 This homebrew recipe uses the following ingredients: Dry Malt Extract - Munich - US, Dry Malt Extract - Light - US, Viking Cookie Malt, CaraMunich II - DE, Citra Hops, First Gold Hops, White Labs Dry English ale WLP007 Homebrew Yeast. This recipe was cloned from Marz at 20.